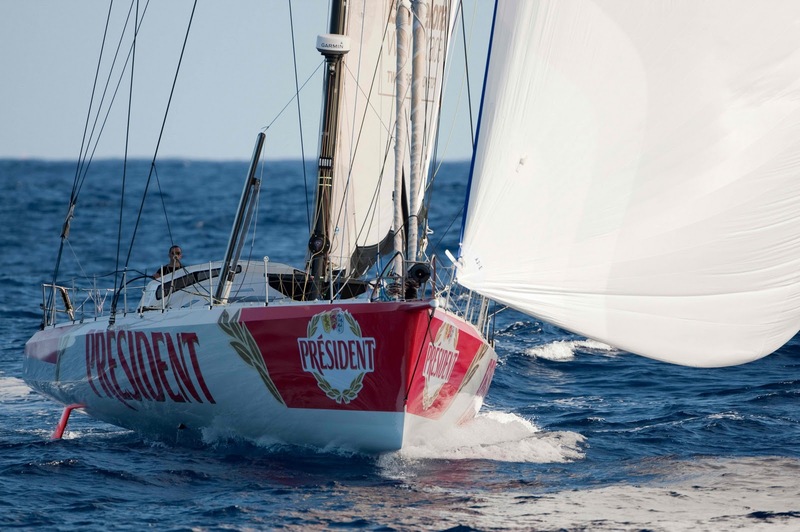 Jean Le Cam reported to Race Direction of the Barcelona World Race at 1925hrs (UTC) this Monday evening that the IMOCA Open 60 President has lost its mast. Jean Le Cam (FRA) and Spanish co-skipper Bruno Garcia are on board and both safe and healthy. The incident occurred when the boat was positioned at around 18º 03 ' NR /26 º 14 ' W and was sailing at speeds of between 16 and 20 knots. The boat is reported to have hit a wave and the mast broke. Michel Olivier, the team’s technical manager and Race Direction are in permanent contact with the boat and have confirmed that neither skipper required assistance. Both are on board and President is currently under engine to cover the 83 miles which separated them from San Antao, the most northerly island of the Cape Verde group. The weather conditions currently are a North Easterly blowing at around 19 knots with a short sea. 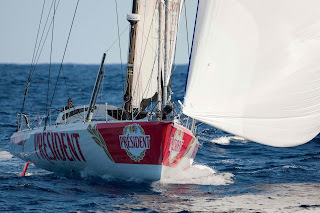 Visit www.barcelonaworldrace.org and www.jeanlecam.fr for the latest updates.